Entrepreneurs were also actors and not simply responders to institutions and resource endowments. They could train their own workers and introduce investor protection into their own bylaws. Professor Jones writes that the modern economic growth wrought by the Industrial Revolution diffused from its origins in the North Sea region to the rest of Europe, the US, and (later) Japan, but was slow to gain traction elsewhere because the “societal and cultural embeddedness of the new technologies posed significant entrepreneurial challenges.” One such example would be deficient or broken institutions. Institutions “provide the incentive structure of economies” and the author cites a handful of other authors in order to offer a fairly broad definition: they’re a combination of formal rules (constitutions, laws, property rights) and informal constraints (sanctions, taboos, customs, traditions, codes of conduct); a system of rules, beliefs, norms and organizations that together generate a regularity of (social) behavior. In practice, the primary focus of attention has been on systems of property rights. It has been asserted that societies that provide incentives and opportunities for investment will be richer than those that fail to do so, and that the protection of property rights was an essential incentive behind such investment. By reducing transaction costs and facilitating potential gains from exchange, institutions fuel productivity and growth. The literature has particularly favored the use of three proxies in particular for “institutions”: risk of expropriation, government effectiveness and constraints on the executive. North famously identified the Glorious Revolution in England in 1688 as providing the institutional arrangements which explain why that country had the Industrial Revolution. “(T)he legal tradition countries inherited or adopted in the distant past has a long-term effect on financial development… which in turn can be assumed to have impacted the nature and speed of economic development.” Countries with common law systems had on average better investor protections than most civil law countries, and within civil law countries some were worse than others. Colonialism transmitted European institutions around the world, with mixed results. In regions with soils and climates that provided a comparative advantage in extracting resources and/or growing crops, and with prosperous and densely settle areas, Europeans introduced or maintained extractive institutions to force people to work in mines and plantations. In more sparsely settled areas, with soils and climates that favored mixed farming and livestock with limited economies of scale, Europeans settled and created institutions of private property across a broad cross-section of society. Jones has much to say about the impact of colonialism and the importance of ethnic minorities in each culture – which will be the subject of our 3rd installment in a few days. 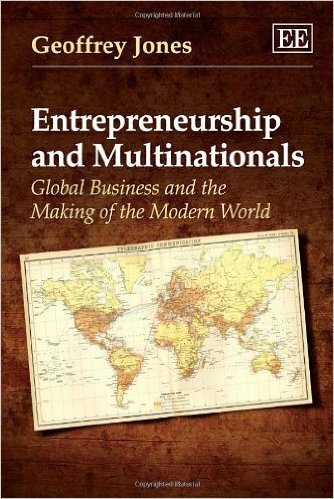 We are working our way through a fascinating book published just last month by Harvard Business School professor Geoffrey Jones: Entrepreneurship and Multinationals: Global Business and the Making of the Modern World. Once we’re finished it could become the most recent addition to The Library in St. Pete. Professor Jones asks why, after the Industrial Revolution in the West, “the Rest” struggled to catch up. He does not delve into the causes of the Industrial Revolution nor the reasons it began where it did. Instead he explores the role entrepreneurs and firms played in the modern economic growth since, and posits theories about the policies at the national level which encouraged them. In our mind, it’s akin to the Jared Diamond’s treatment of the development of civilizations in Guns, Germs, and Steel – albeit with a narrower focus. Discussing his book at HBSWK, Professor Jones argues that the current dominant explanations of global wealth and poverty focus too much on deficient institutions, poor human capital development, geography, and culture, with too little credit given to the “missing gap” between these factors: the entrepreneurs and firms which create wealth and innovation. In this post we’ll be summarizing his definition of 3 economic eras that followed the Industrial Revolution: The First Global Economy, The Era of Constrained Globalization, and The Second Global Economy. In subsequent posts over the next few days we’ll offer brief synopses of the national-level factors he explores: institutions, the effects of colonialism, human capital, culture, and geography. The LDCs suffered from a “lack of cognition” about “the pace of change” and the opportunities offered by the new global economy. Faced with colonialism, local politicians often chose strategies to enrich themselves and prevent the empowerment of rivals. The multinational entities (MNEs) were “disappointing diffusers” of entrepreneurial skills and practices. Import substitution regimes of this era resulted in inefficient industries which were sheltered from international markets. State-led industrialization programs disrupted local firms, blocked or discouraged foreign investment, and were burdened by webs of planning regulations. Local firms had the incentive to build skills in political contacts rather than technology. This led to corruption rather than innovation. Capacities were created, albeit inefficient ones. Forget passion. Goals are for losers. Suffer defeat. Scott Adams, creator of Dilbert, discusses his new book – How to Fail at Everything and Still Win Big – in both print and video at the WSJ. Mr. Adams provokes a bit with his trademark jaded humor (of which we are fans), but he also provokes fresh thinking on passion, failure, goals, and the role of luck. We can’t quite endorse every piece of advice he offers – not everyone enjoys the sinecure of an established syndicated cartoonist – but we can recommend the article and the interview. And perhaps after we’ve finished it, the book. The ones that didn’t work out—and that would be most of them—slowly drained my passion as they failed. The few that worked became more exciting as they succeeded. To put it bluntly, goals are for losers. That’s literally true most of the time. For example, if your goal is to lose 10 pounds, you will spend every moment until you reach the goal—if you reach it at all—feeling as if you were short of your goal. In other words, goal-oriented people exist in a state of nearly continuous failure that they hope will be temporary. If you achieve your goal, you celebrate and feel terrific, but only until you realize that you just lost the thing that gave you purpose and direction. Your options are to feel empty and useless, perhaps enjoying the spoils of your success until they bore you, or to set new goals and re-enter the cycle of permanent presuccess failure. You can’t control luck, but you can move from a game with bad odds to one with better odds. You can make it easier for luck to find you. The most useful thing you can do is stay in the game. If your current get-rich project fails, take what you learned and try something else. Keep repeating until something lucky happens. The universe has plenty of luck to go around; you just need to keep your hand raised until it’s your turn. It helps to see failure as a road and not a wall. We came across this item today, which makes for a nice addendum to yesterday’s post about the indispensability of human judgment even (or especially) with today’s complex and detailed decision-making models. Having made the switch from physics to social systems, Mr. DeDeo discovered that the complexity of the data describing human action is so vast that modern mathematics does not have the tools to deal with it. Like many scholars of complex systems, he believes that a new discipline within mathematics — probably entailing an intellectual revolution on the order of the invention of calculus — is needed before scientists can even begin to get a handle on the relationships between variables in the systems they are studying. We’re limited by Bonini’s Paradox: As our models become more complete and more accurate, they become as difficult to understand as the underlying reality they are meant to represent; as they become easier to understand, they become less accurate and less complete. This sounds very similar to BoE Director of Financial Stability Andrew Haldane, quoted in yesterday’s post, who warned that “fundamental limitations of the human mind” thwart increasingly complex (and sometimes frivolous) attempts at regulation. Is good old-fashioned intuition out of date? Every leader has internal biases, some of them subconscious or hidden, which can create especially tricky traps that complicate sound decision making. So it is important to think systematically and design the decision-making process to account for the zoo of biases managers face. Astute management of the social, political, and emotional aspects of decision making can help account for the underlying biases of the participants. On the other hand qualities such as judgment, engagement and strong communication skills are critical attributes because interpersonal chemistry plays a role in any decision involving more than one person. What we’ve oft said about boards is true of any team: processes and best practices may be important, but great teams rely on ‘robust social systems’ and mutual accountability among its members to ensure that they function properly. As we argued in Thinking consciously, unconsciously, and semi-consciously: the best results often come from a combination of deliberation and intuition. Too much deliberation can become analysis paralysis; and studies show that those who rely on intuition alone tend to overestimate its effectiveness. (They recall the times it served them well and forget the times it didn’t. Furthermore, the more complex and detailed the process the greater the likelihood managers will mistake process for purpose and manage to the rules without exercising any judgment. In the wake of the last financial crisis, BoE Director of Financial Stability Andrew Haldane argued that this had been precisely the case with regulators, who tiptoed right up to the hot red line at which a crisis can be triggered. Mr. Haldane deployed an analogy about a Frisbee-catching dog to explain how increasingly complex (and sometimes frivolous) attempts at regulation push the limits of data or modeling or even the nature of knowledge itself. The dog can catch the Frisbee despite the complex physics involved because the dog keeps it simple: run at a speed so that the angle of gaze to the Frisbee remains roughly constant. So while we still do value “good old-fashioned intuition,” it’s also unwise to rely only on one’s instincts to decide when to rely on one’s instincts. The dog’s doing just fine, but if it involves more than a Frisbee he might want to crunch some numbers too. Two recent publications do a very nice job of describing “growth equity” and distinguishing it from early-stage venture capital and buyouts. What makes a growth-stage company? Generally, it has its first product or service in the market and is getting traction. 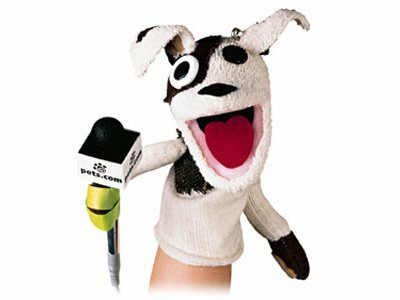 At this stage, investors like to say that the dogs are eating the dog food. Product development continues to be very important, but sales, marketing and customer service are now center stage. The founding management team is still in place, but new faces and skill sets are needed. The amount of money needed to maximize the company’s opportunity outstrips the company’s ability to generate free cash. Growth investors cover a wide spectrum. Some growth-stage investors prefer the early stage of expansion. This investor generally has been rooted in the venture capital industry, or he or she may be a successful entrepreneur-turned-investor. These investors tend to be active and more hands-on. They will make available their extensive networks and years of experience. You may want seasoned growth-capital investors as board members or advisors, as they will be able to open doors and help you solve problems that may be new to you but that they’ve seen repeatedly. Similar to your hunt for early-stage investors, compatibility with your aspirations and personal chemistry are essential ingredients. If your company is doing well, you should have the luxury to pick and choose whom you work with. It is instructive to contrast growth equity deals with buyout and venture capital transactions. Leveraged buyouts, for example, also typically involve companies with a stable earnings stream, perhaps growing less aggressively, and in this case used to facilitate the assumption of debt, which is expected to be a material contributor to the investment return. Venture capital investors, meanwhile, generally receive preferred equity positions similar to those given to growth equity funds, but because of the nascent stage of most venture-funded companies, the downside protections outlined above are typically lacking. In summary, while growth equity shares some characteristics with both venture capital and leveraged buyouts, it should be viewed as a separate strategy with its own risk-reward profile, distinguishable by its minimal use of leverage and portfolio companies with strong organic growth. Simply put, growth equity offers a similar return profile to leveraged buyouts but without the leverage, and could also be viewed as a low-octane venture proxy,with far less dispersion among company returns given the lower risk of loss, but also little chance for the fabled ten-baggers integral to venture’s long-term success. Both these pieces describe fairly accurately the strategy that BPV has pursued since our founding: our investment is a “growth accelerator” for companies at or nearing profitability and in the early stages of rapid expansion. Our entrepreneur partners benefit from our network and experience with high growth companies, and our limited partners benefit from the fact that our strategy entails a lower risk of loss of capital and is not reliant on a frothy IPO market for an attractive exit. We have pursued this investment approach since the founding of our predecessor firm, South Atlantic Ventures, over thirty years ago. and we are pleased that Cambridge Associates has recognized the unique aspects of this asset class. This represents the 3rd time in under six months we’ve had the pleasure to give David & team a shout-out. Last April they were named the 2013 Incubator of the Year by the National Business Incubation Association, besting much larger competition from all around the globe, and just this past July they were named World’s Best University Biotechnology Incubator by the Sweden-based research group UBI.